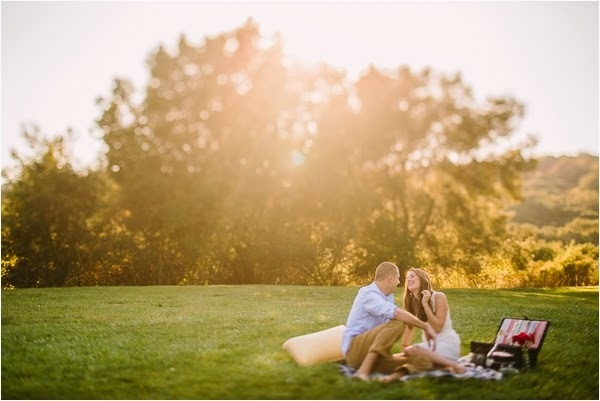 This beautiful summer engagement shoot by Danielle Capito Photography that we're eager to share with you this December, feels exciting because we love summer and what summer has in store for all of us. 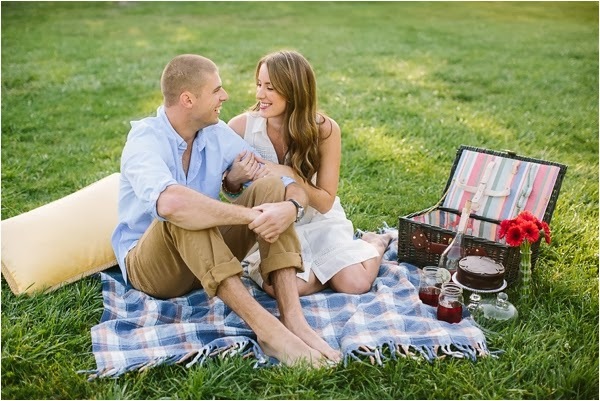 Picnics with the ones we love, lemonade, cuddling and laughing at jokes we tell each other. 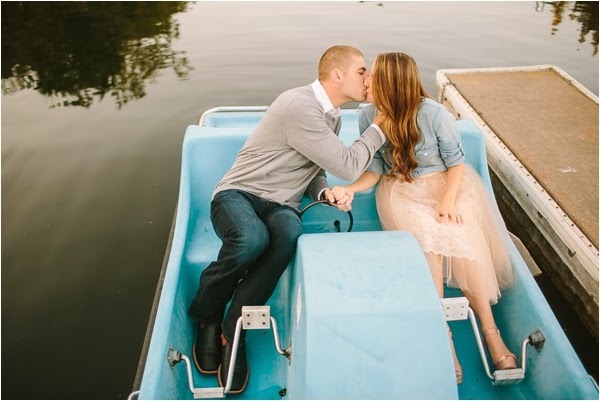 This sweet and stylish couple enjoying their summer, and sailing in a blue boat, tells their love story through these beautiful photographs, smiles on their faces and a lot of sweet kisses. Thank you, Danielle Capito, for sharing this piece of summer with us and reminding us of all goodness summer days have! 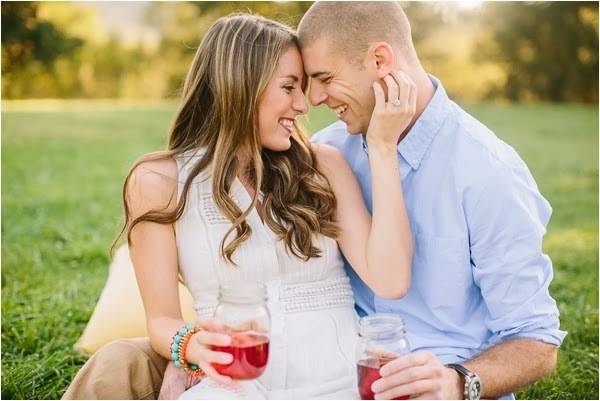 Their love story: Jacqueline met Casey during her senior year in college. At the time, she was nannying for a family in the area to help support herself through school. Over the months she grew extremely close with the family and felt like she was part of it. One evening the father came home and had asked Jacqueline if she was in a relationship or not. To her surprise, he had been talking the past few weeks with one of his co-workers about her and his co-worker's son. The two men had swapped a few stories, interests, and other qualities about the two and decided that they should meet. 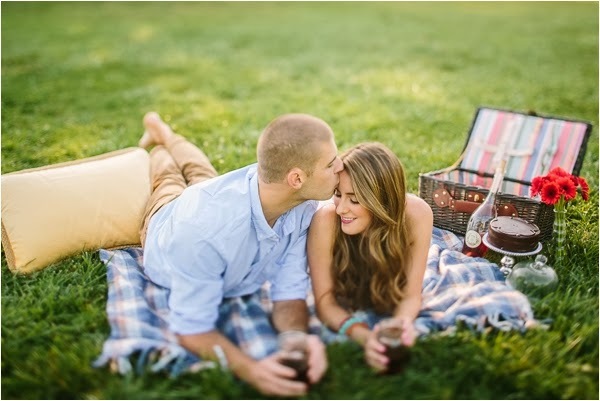 A few months later the Dads planned 'the set up' on how Jacqueline and Casey were going to meet. The two decided it would be best if Casey came over to the house to look at a future construction project since that was Casey's profession. All along Jacqueline was in on the scheme, yet Casey was completely clueless as to what was about to happen. All went according to plan and Casey came over and met Jacqueline, talked construction, and left with his father. 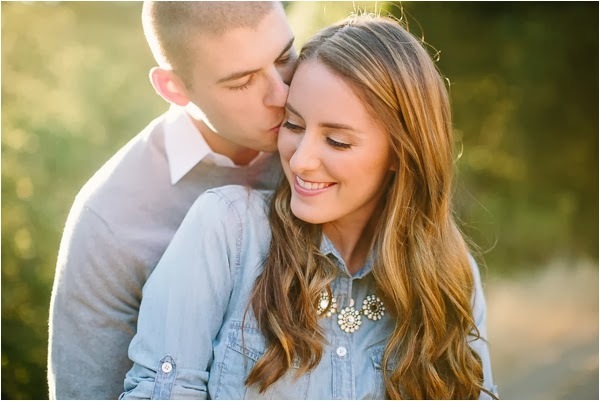 After Jacqueline met Casey she gave the Dads the green light and felt comfortable going on a date with Casey. Casey's father gave him Jacqueline's number and egged him on to take her on a date. 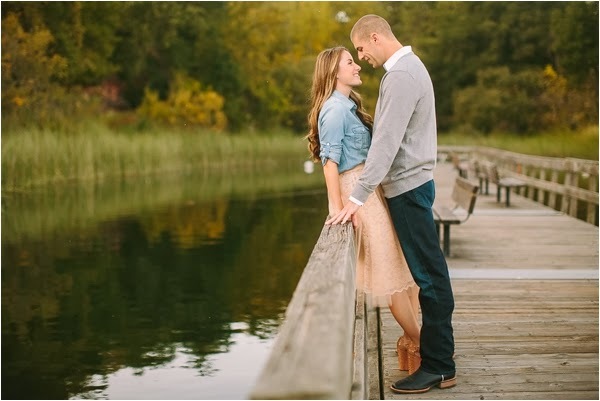 Although Casey was still confused as to why he would take 'the nanny' he briefly met on a date, he agreed to listen to his father and contact Jacqueline. The blind date was set up and the two met for dinner. Two hours later and they hit it off! The two dated for several months until it was official. Casey never knew it was all a set up until months later! The Dads have never been more proud of their matchmaking skills. 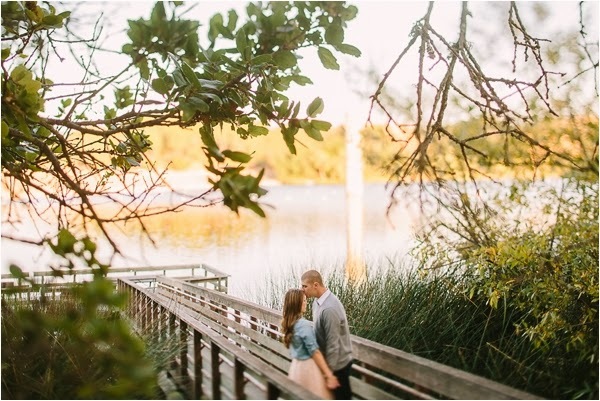 Who knew a blind date could turn into a lifetime together!